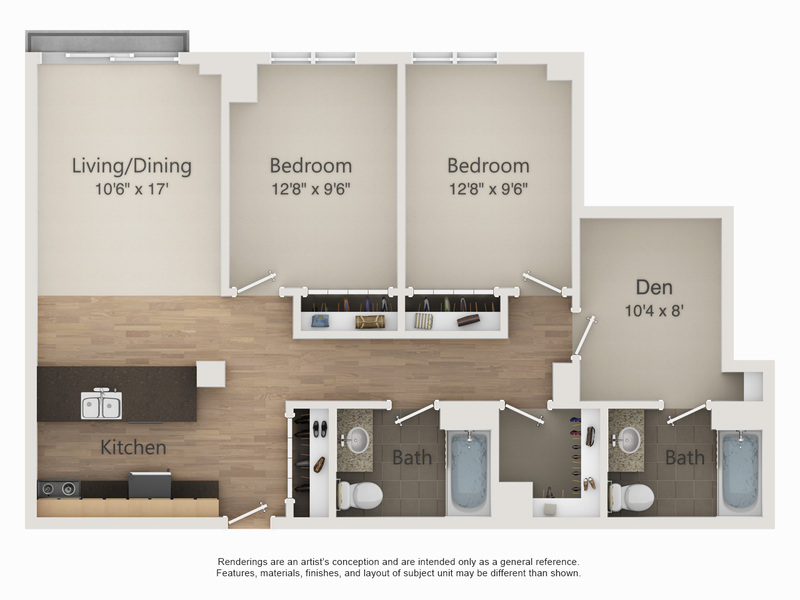 This apartment includes two bathrooms and a large walk-in closet off the hallway. Plenty of storage space throughout! Furnishings include one leather couch, coffee table, bar stools, and full size beds (all bunkbable as fulls). The den makes a perfect study room or additional hangout space!